The town of Bree is located north-west of the town of Maaseik on the N73. From the motorway E313 which runs between Antwerpen and Liege turn off at junction 25 Kwaadmechelen. Turn onto the N141 direction Oostham, through the village of Oostham and the road joins with the N73 in the village of Heppen. Follow the N73 to the town of Bree. 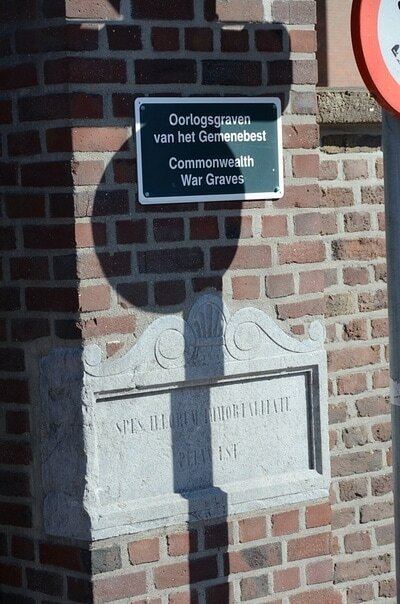 At the junction with the N76 go straight on into the town along Nieuw Stadpoort, at the crossroads turn left into Kruittorenwal and first left again into Gerdingerpoort, then first right into Stift and second right into Witte Torenstraat, the cemetery is along on the left. One grave is located close to the entrance and is in the third row on the left of the path. 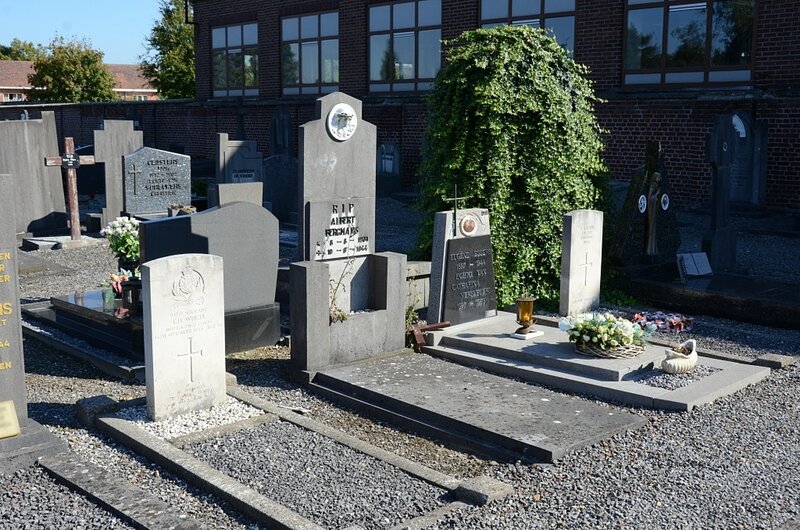 The grave is the second in the row and is marked by a private family memorial. 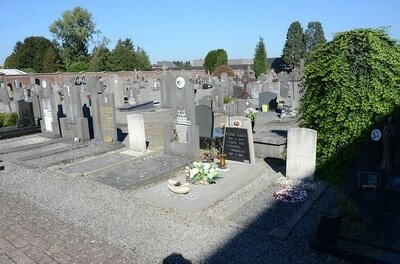 The other two graves are located through the main entrance and straight on along the path, at the cross path turn right and the graves are on the left in plot D. They are both in the first row and face the path. These graves are marked by a Commission standard pattern war headstone. 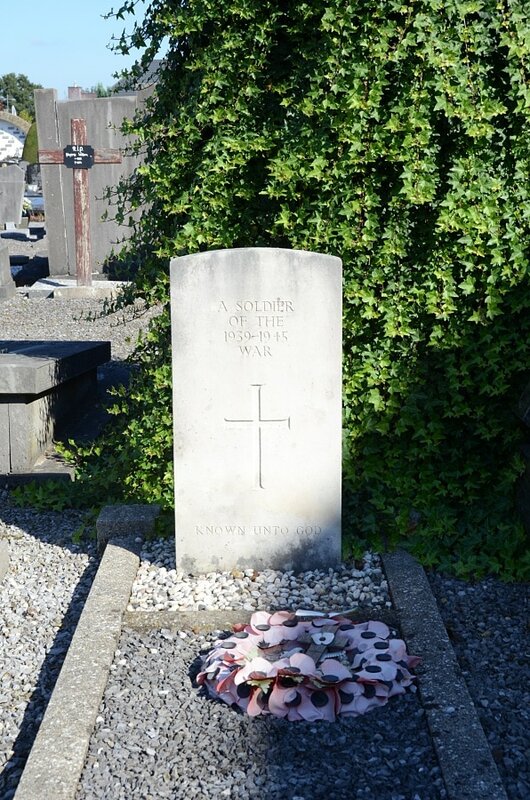 Bree Communal Cemetery contains three Second World War burials, one of which is unidentified. 14224302 Trooper Arthur Harratt, 15th/19th The King's Royal Hussars, Royal Armoured Corps, died 11th September 1944, aged 21. 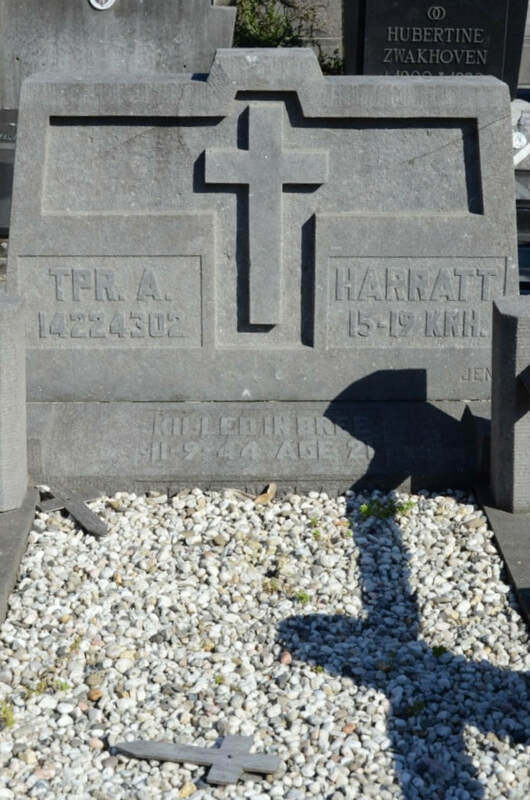 Son of Arthur and Lucy Harratt, of Goldenhill, Stoke-on-Trent. 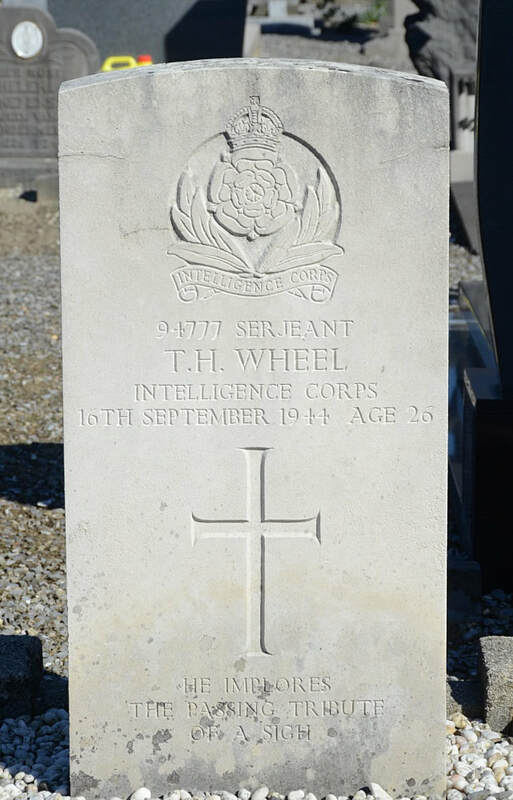 94777 Serjeant Thomas Henry Wheel, 61 Field Security Sec., Intelligence Corps, died 16th September 1944, aged 26. Son of Thomas Henry and Eileen Wheel, of Merrishon, Swansea.